On shorter runs, many of the channels will be over amplified. You�ll know when this happens if the TV�s audio buzzes when white printing is superimposed on the screen, i.e. car leasing details or a newscaster�s name. 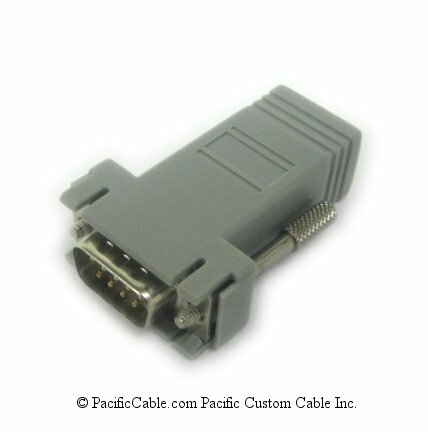 To fix this problem, install some Signal Strength Attenuator Pads on the coax line at the television to knock down the level of the signal. 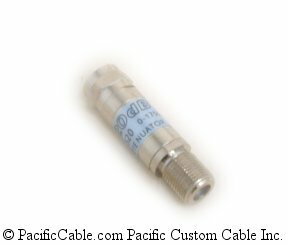 Screw in-line with coax cable and reduce signal strength by rated amount. Try different combinations until you get the best picture quality. Use to balance signal strength from different sources. 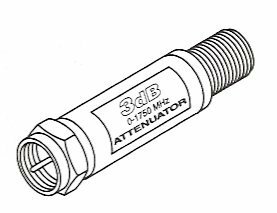 0-1750MHz Female to Male Inline Attenuator. 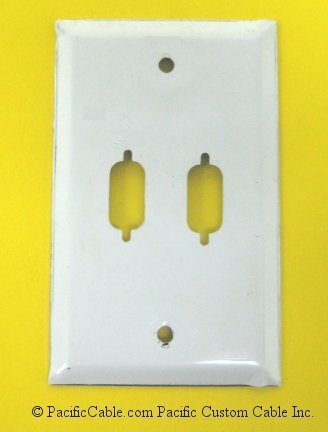 Monolithic ceramic printed-board circuitry. Nickel plated machined brass contruction. 22-Gauge spring-steel center - Tolerance 5%. Return loss 20dB typical.